Tax cuts and spending increases enacted by Republicans over the past four months will lead to wider than previously expected budget deficits, according to the Congressional Budget Office. The federal budget deficit would total $804 billion this year, 43 percent higher than it had projected last summer, and exceed $1 trillion a year starting in 2020. Larger deficits will, of course, add to the national debt: debt held by the public will hit $28.7 trillion at the end of fiscal 2028, or 96.2 percent of gross domestic product, up from 78 percent of GDP in 2018. 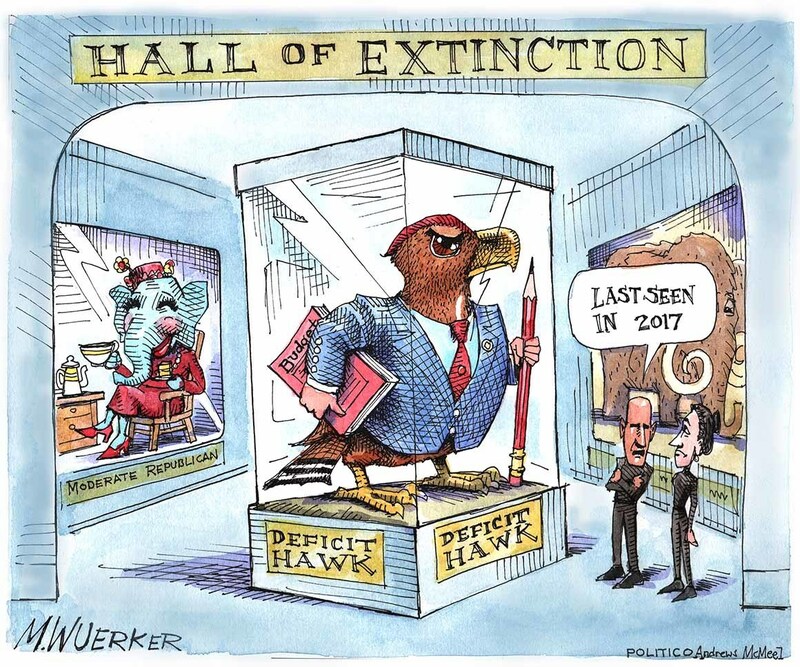 Those estimates assume current law will remain in effect, meaning Congress would allow some tax cuts to expire and spending caps to take effect again in the coming years. If Congress extends the tax cuts, as many Republicans want to do, the CBO predicted higher deficits and publicly held debt of about 105 percent of GDP by the end of 2028—a level exceeded only once in U.S. history, in the immediate aftermath of World War II. So, what do these escalating deficit and debt numbers mean? But there’s a second, perhaps even more important, angle we need to take into account: wealthy individuals and large corporations—the chief beneficiaries of the Tax Cuts and Jobs Act—would rather lend money to the government, at interest, than pay taxes on the surplus they receive. As federal deficits and debt grow, they end up receiving, not paying for, a larger and larger share of federal expenditures. I have illustrated the structure of federal debt over time in the chart above. By the end of 2017, the federal debt (the red line) had reached $20 trillion, of which $14.5 trillion was held by the public (the green line). 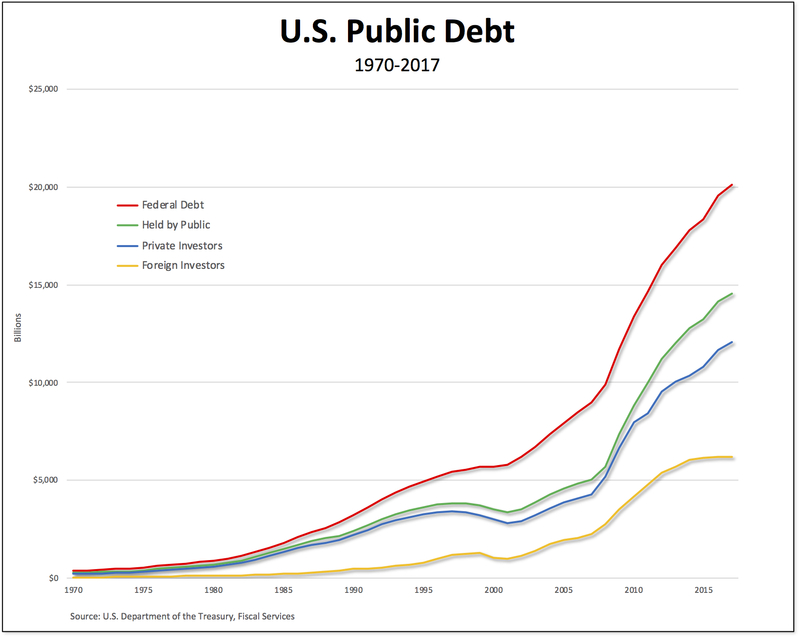 ** Private investors (the blue line) own the bulk of debt held by the public (about 83 percent), while foreign investors (both private and public, the yellow line) hold less than half (43 percent) of U.S. public debt. As we can see, private holders of U.S. public debt—mostly wealthy individuals and large corporations—the majority of whom are based in the United States, are the ones who stand to gain. They have been granted lower tax rates and, at the same time, will receive a mounting share of the interest that is paid out on the growing debt ($310 billion for fiscal year 2018). 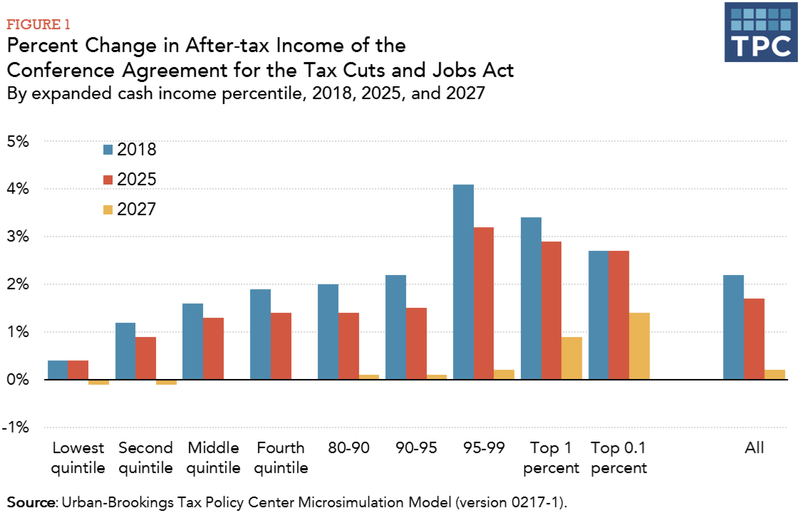 In the current political economy of the United States, nothing can be said to be certain, except growing debt payments and lower taxes—all for the benefit of wealthy individuals and large corporations. *But, as Michael Hiltzik [ht: sm] explains, the species of Republican economists and politicians who aim to cut entitlements, such as Medicare and Social Security, is still thriving. One would have thought that after saddling the U.S. economy with a tax cut costing $1.5 trillion over 10 years, conservatives and their patrons in corporate America would soft-pedal the usual attacks on Social Security, Medicare and Medicaid. **The difference between federal debt and debt held by the public is made up of intergovernmental holdings, Government Account Series securities held by government trust funds, revolving funds, and special funds (as well as Federal Financing Bank securities).